Verve, the street play society of Shaheed Sukhdev College of Business Studies (University of Delhi) will be organizing “Manthan-2010”, its annual street play festival from the 23rd of January to the 5th of February. The cavalcade will cover places like the West Gate Mall (Rajouri Garden), PVR Priya, Jantar Mantar and the Faculty of Law. With a vision of inculcating social messages of prime importance in the minds of India’s future denizens, performances will be held in well-known schools like St. Columba’s, Carmel Convent and Montfort, as well as several government schools across the capital. 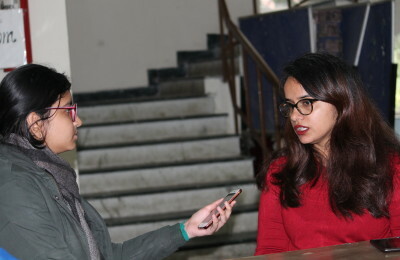 Although the festival will witness the coming together of more than 15 colleges from across the University, it is heartening to see that none of the colleges will be competing for lucrative prizes, for Manthan is not a competition but an attempt at igniting the dormant humanity in the society. It will begin with an orientation ceremony within the college premises, followed by the first performance at West Gate Mall, on the 23rd of January and will culminate on the 5th of February at Delhi Haat (Pitampura). JMC is back with its literary fest after a long break with Literati 2010 on February 4th. Very obviously, the prime lure for any fest is the cash prizes and so they promise prizes worth Rs.6000! With unconventional events like Spoofs, Haiku writing, Movieatrix, Creative Writing with visual prompts and Weave a Story lined up, the fest sure seems to live up to its theme of dystopia. Participation is invited from teams as well as individuals and the online registration has begun already, so those who intend to attend the fest, hurry! Registration will be open at the venue as well, one hour prior to the event. Other details will soon be confirmed in the days to follow. Registration is to be done at jmc.literati@gmail.com. Queries regarding the fest can also be directed to the same address.